Some families have had PECS (Picture Exchange Communication System) introduced, some have not. It may be that PECs was successful and that being able to request is seen as “enough” communication, the child can now request food items and toys if the symbols are in the right place, but there is no next step from there, and no further supports to build language and communication are on offer. This can feel like the end of the SLT road. For some families it may be that PECS wasn’t successful, and there are no alternative supports to build language and communication on offer. Again, seemingly the end of the SLT road. So what can we do to support communication? What can you do if your child has mastered PECS but isn’t really speaking yet? What approach can you take if you feel that your child understands more than they can communicate but can’t speak the words? PECS (or lack of) is NOT the end of the communication road for your child. AAC can be the start of a new journey. AAC is all about providing robust alternative systems of communication, often symbol-based, sometimes high-tech with voice output, and sometimes low-tech in a paper format. Whatever, system you decide on the principles are the same. First: In order to learn a language we need to be exposed it – to hear/see/experience it over and over and over. That applies to spoken language but also to other forms of communication (such as sign language, object signifiers, symbol systems etc). As a Speech and Language Therapist I always recommend that those around a child with autism use what we call Total Communication (speech, signs, symbols, photos, objects, written word). A robust symbolised language system, such as PODD (a communication book language system), with Aided Language Input is a fantastic way to expose kids to language in the form they may learn it best. Second: My clinical experience has always been that visuals seem to act as a kind of bridge to speech for SOME children. Not all but some. PECS (the traditional autism stand-by) can be a bit of a speech kick-starter and after lots of thought I concluded that it is because the approach ties together real object+symbol+written word+spoken word+motivation. It is directing the child’s attention clearly to which bits they need to attend to and linking up the connectors between those elements, if sifting through all the sensory information is hard this is helping the person zoom in on what is most important. And ta-dah AAC links all those together beautifully – and in real time and real life. Third: I am all about looking at the breadth of reasons to communicate. Human beings communicate for so many reasons, not just to request things. So for me as a Speech and Language Therapist the first thing I look at is the full range of communicative functions (how to say NO, how to joke, how to say go away, how to express pain, how to show surprise and how to greet to mention but a few). Another reason I like AAC, and PODD communication books in particular, is because they give you a way to express all these things. Interestingly one of the symbols I most use – and one of the first ones for one of my clients to use is “Uh-oh”. Not a surprise given that there is so much connection, fun and expression in that phrase. Fourth: I know for a fact that intrinsic motivation (being truly engaged in something) is the key to deep learning. I also know that previous approaches like PECS work on the intrinsic motivation of desire for motivating things. But I feel that Robust AAC gives a chance to tap into many more layers of motivation – Once you have requested the cars – the submotivations may be 1) saying how much you love cars, 2) talking about crashing the cars, 3) asking for a new car next time you are at the shops, 4) telling your sibling to “buzz off, they’re my cars”, or 5) commenting that your favourite car got lost. Robust AAC gives a way to go deeper and engage further beyond the request. I am not negating the value of PECS – for some autistic individuals it is the right thing for a time. I have seen its effect for myself. But I wonder if we may always need to be looking ahead to deeper, multi-layered communication and connection – and see PECS as a bridge to further communication. Robust AAC language systems such as PODD offer so much exciting possibilities. If you would like more inspiration look a the amazing family in We Speak PODD, or the Blog Give the Boy a Chance. 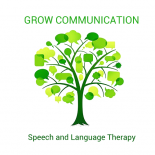 PraacticalAAC is also a must-follow for all things AAC and Speak For Yourself is an excellent app, and they do great informative blog posts. This entry was posted on October 7, 2017 by judephilip in Uncategorized and tagged Angelman Syndrome, ASD, Augcomm, autism, autistic, child, communication, Complex needs, jude, Rett syndrome, slpeeps, speech and language therapy.